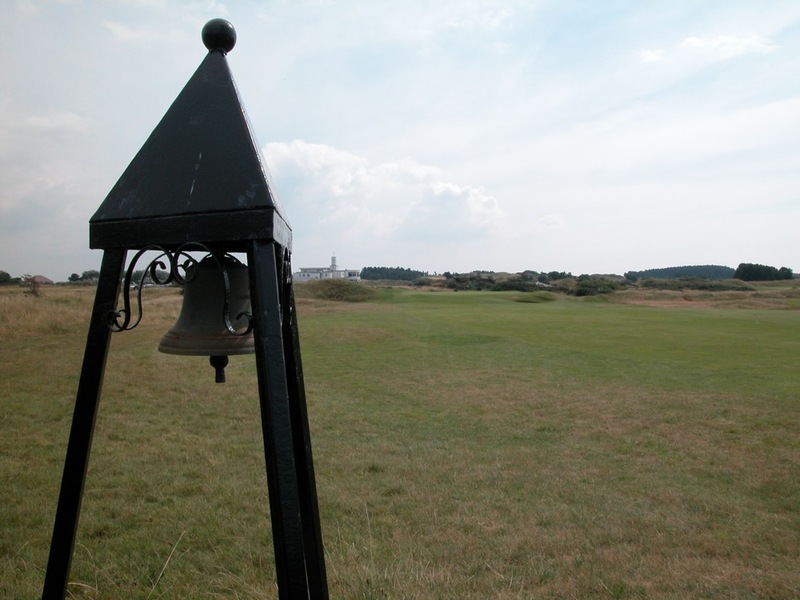 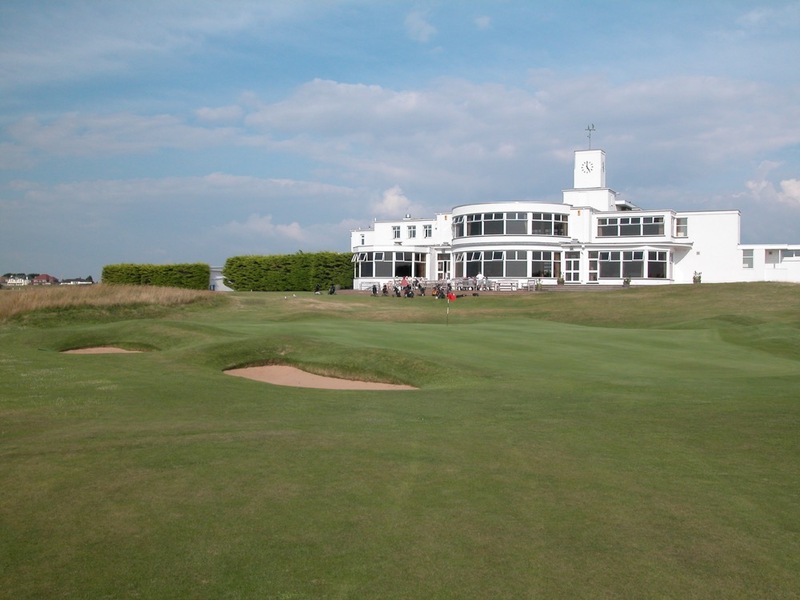 Royal Birkdale Golf Club in lovely Southport England is one of the most dramatic of the British Open venues. 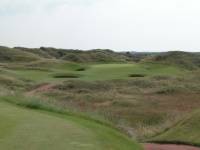 Royal Birkdale Golf Club’s huge dunes which line both sides of most holes immediately bring to mind images of Ballybunion in Ireland. 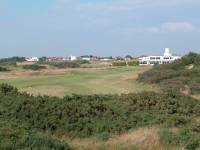 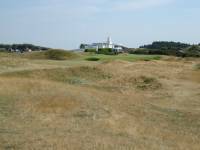 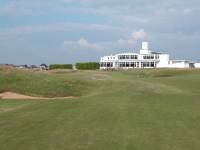 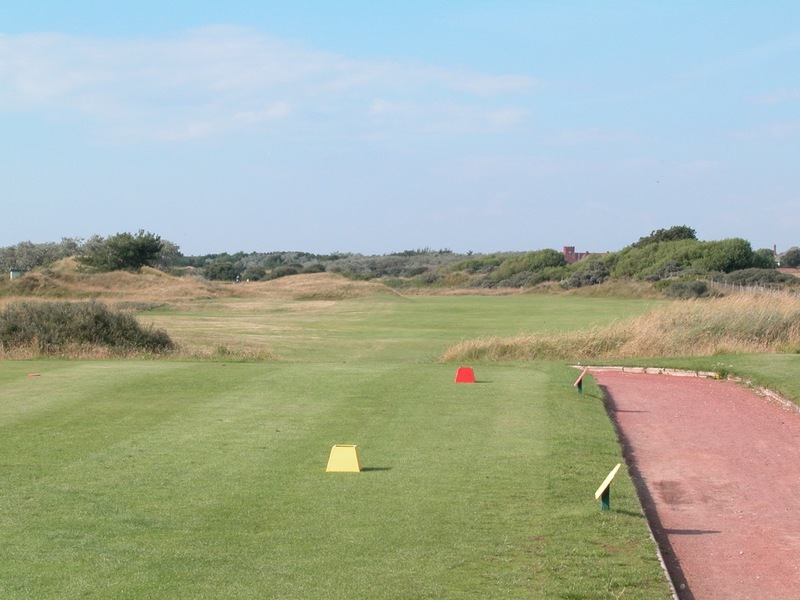 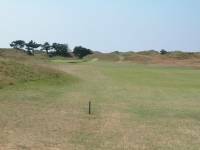 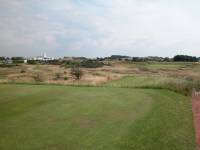 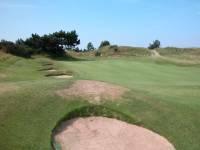 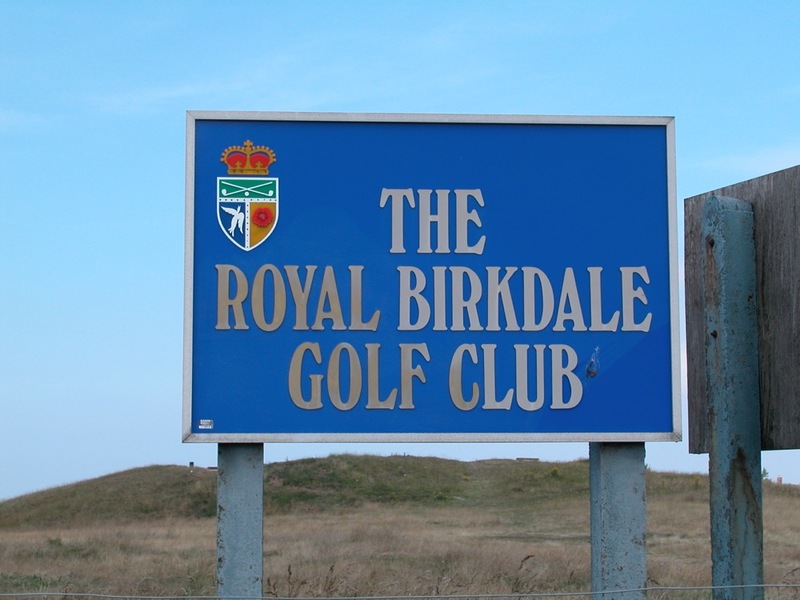 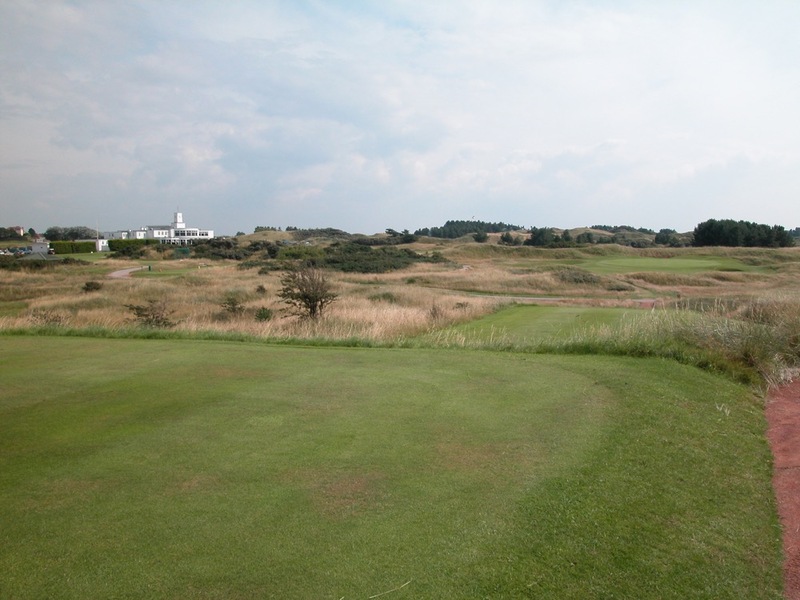 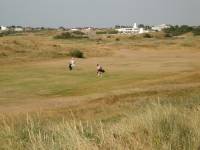 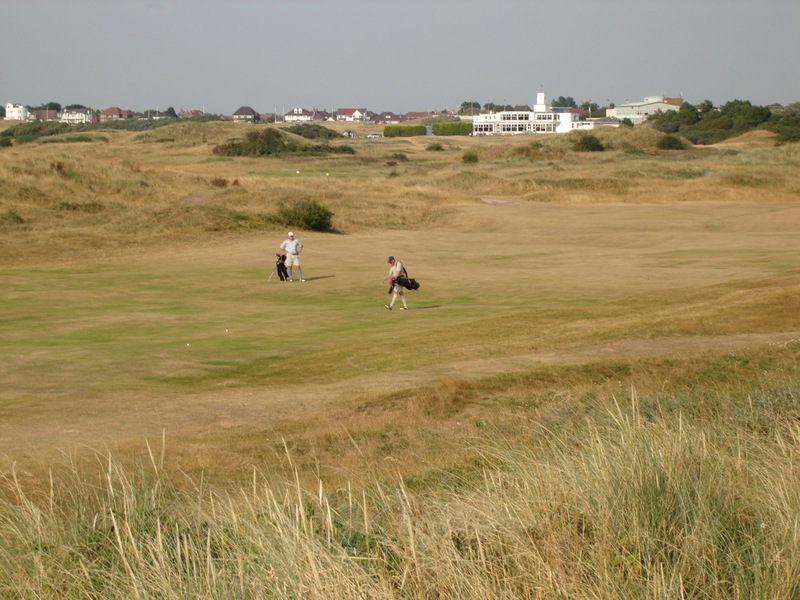 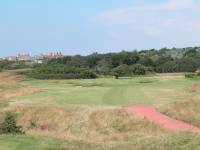 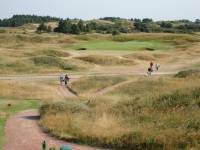 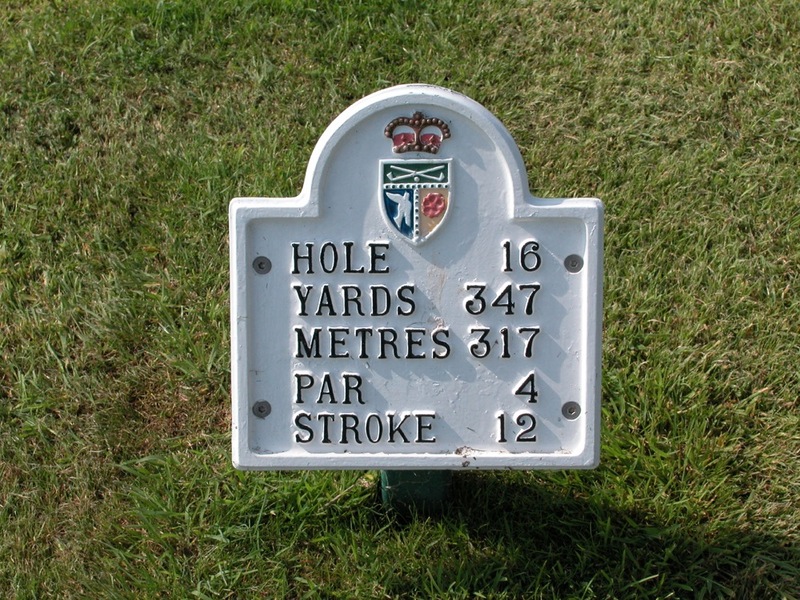 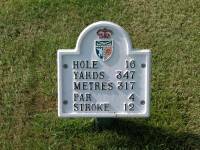 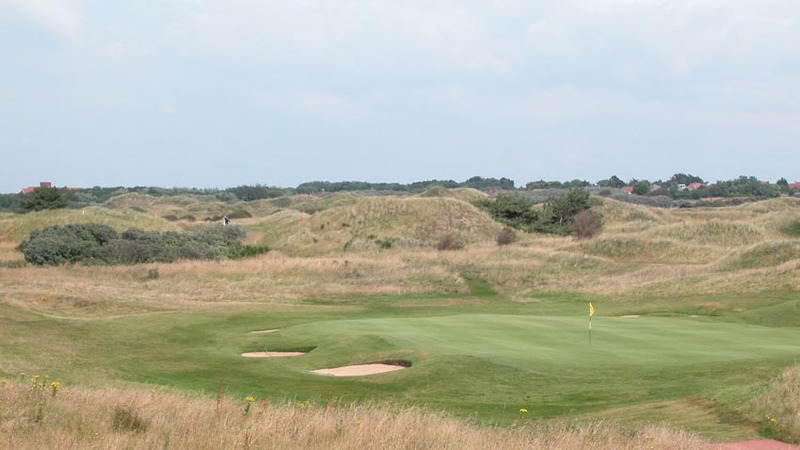 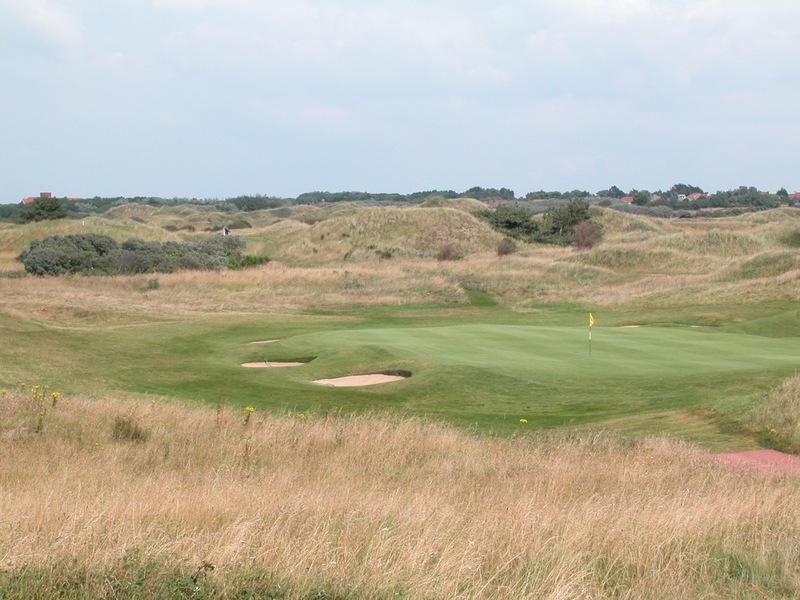 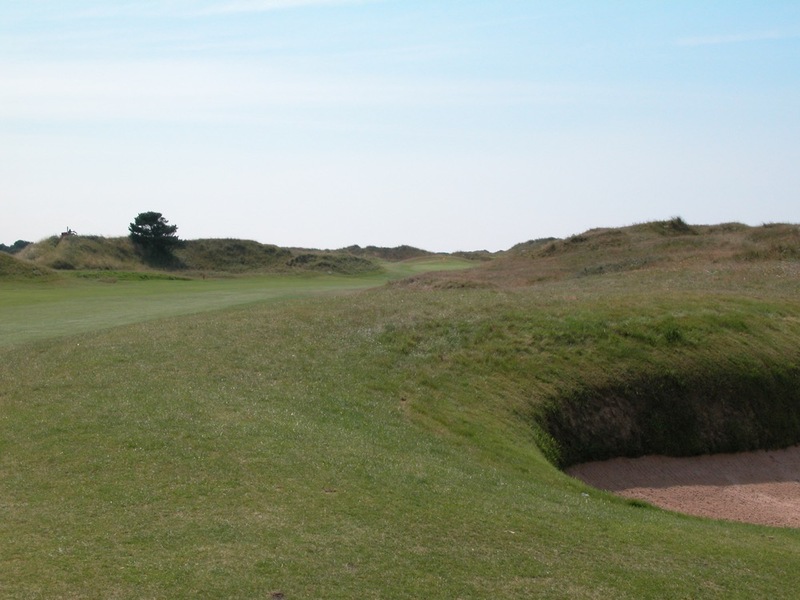 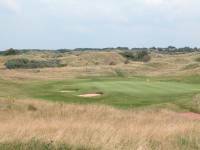 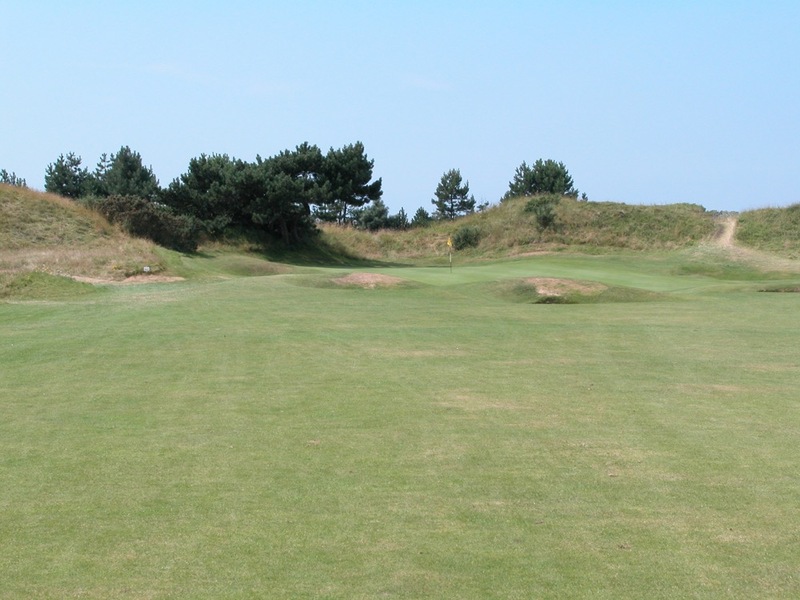 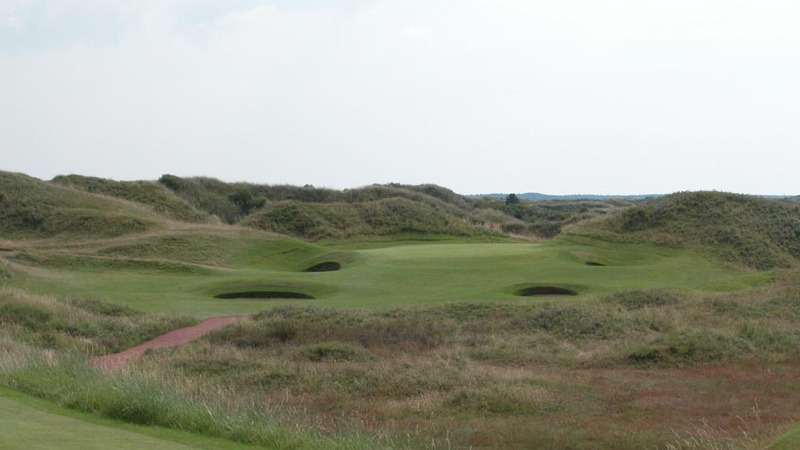 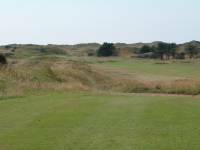 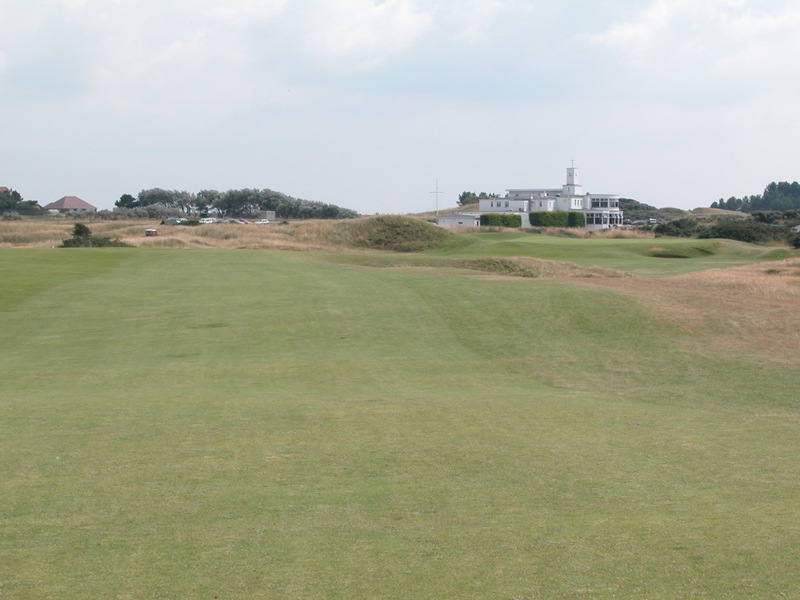 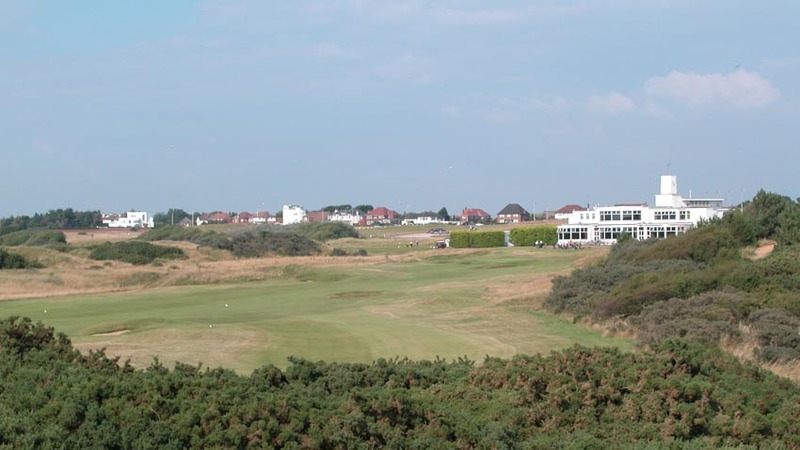 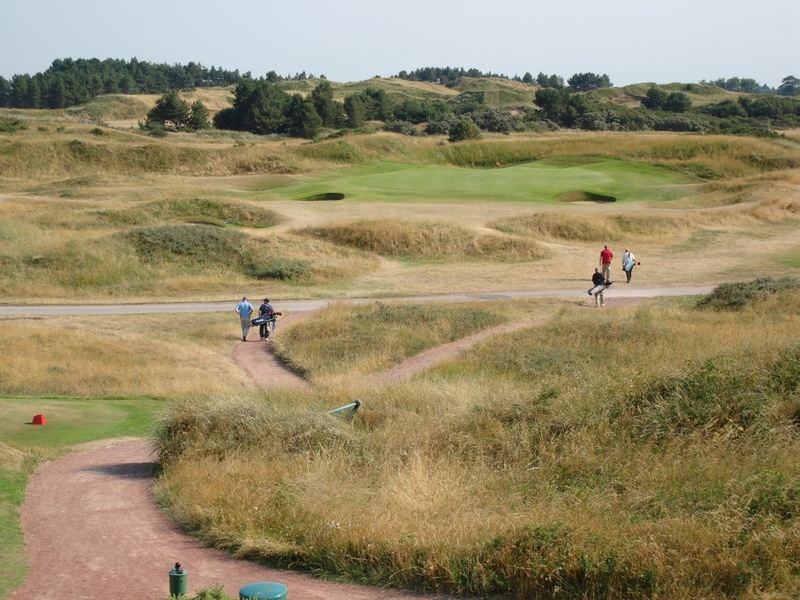 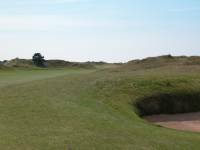 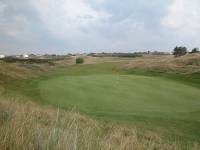 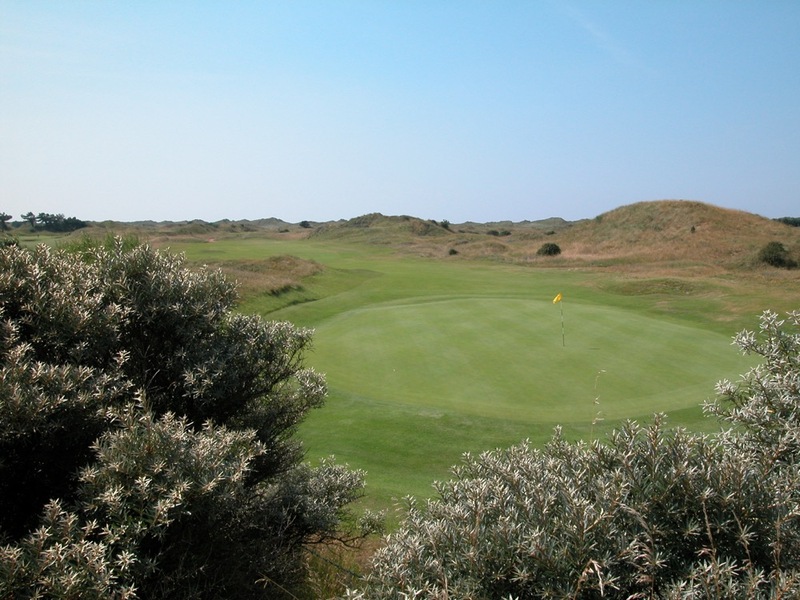 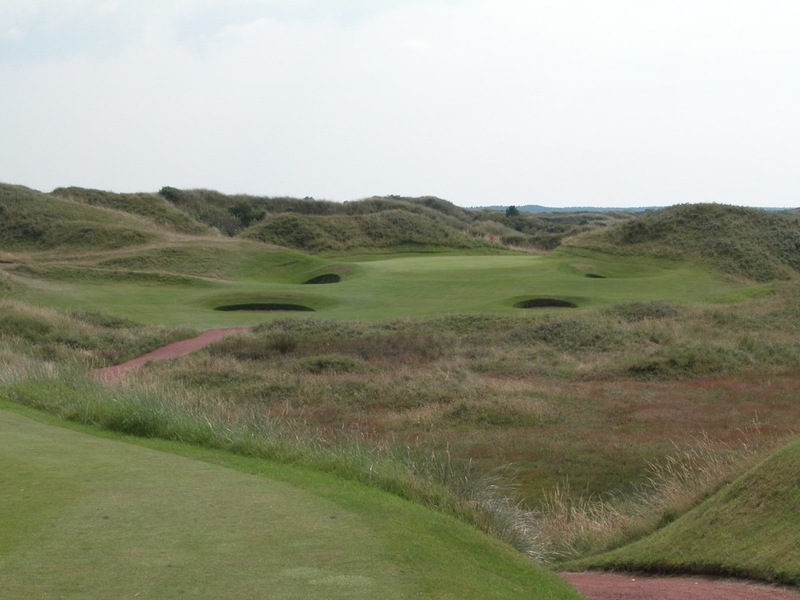 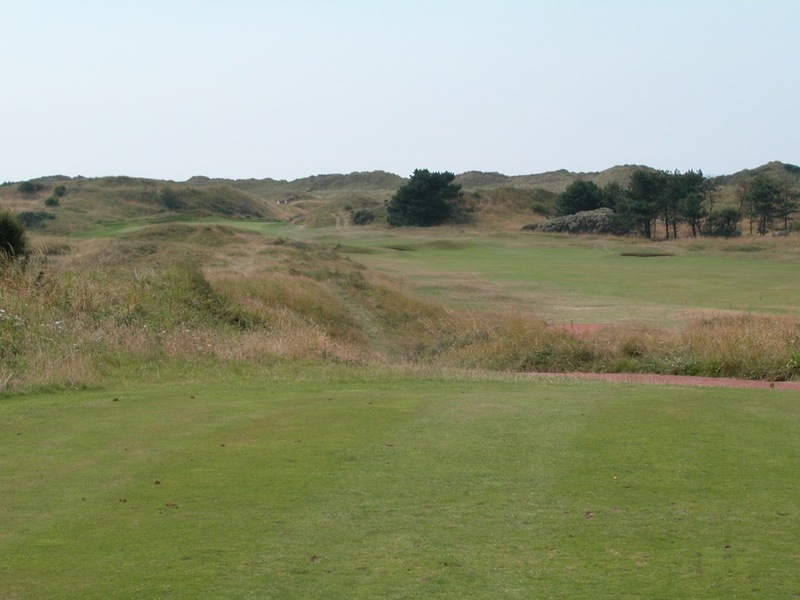 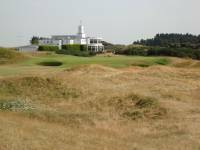 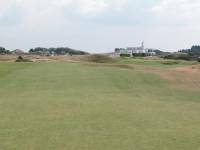 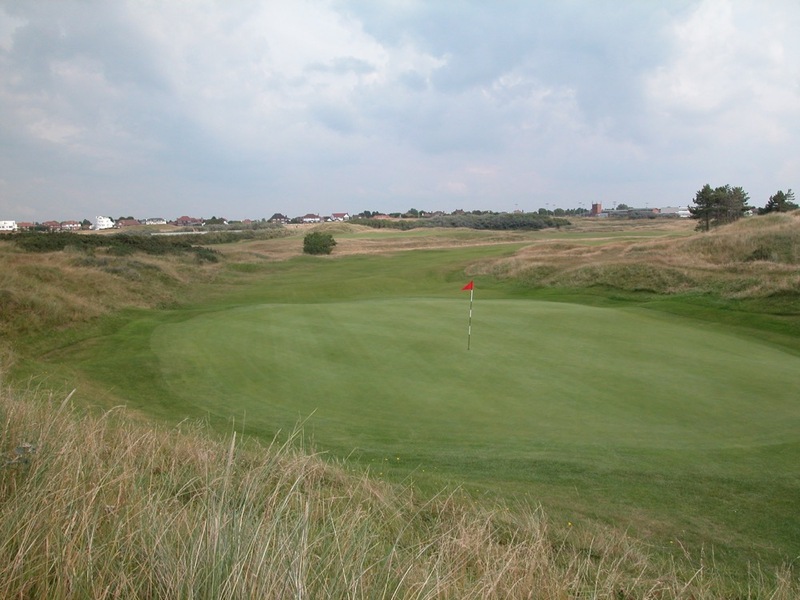 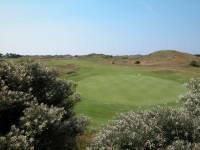 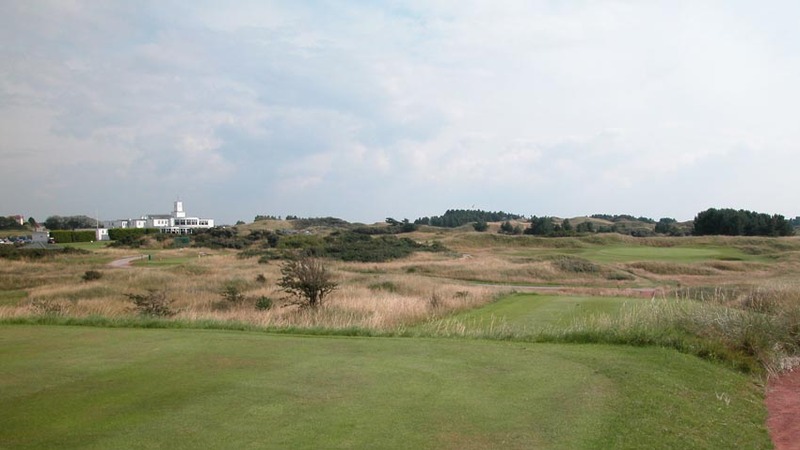 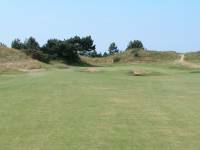 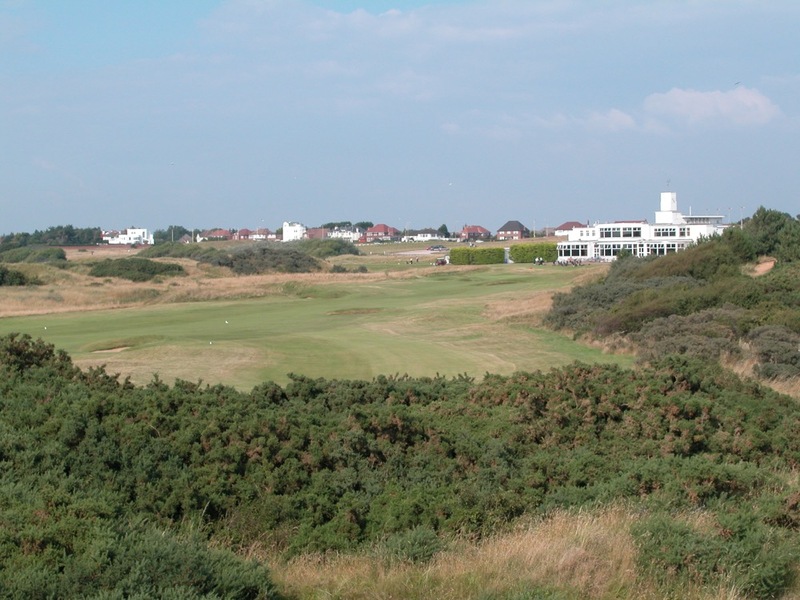 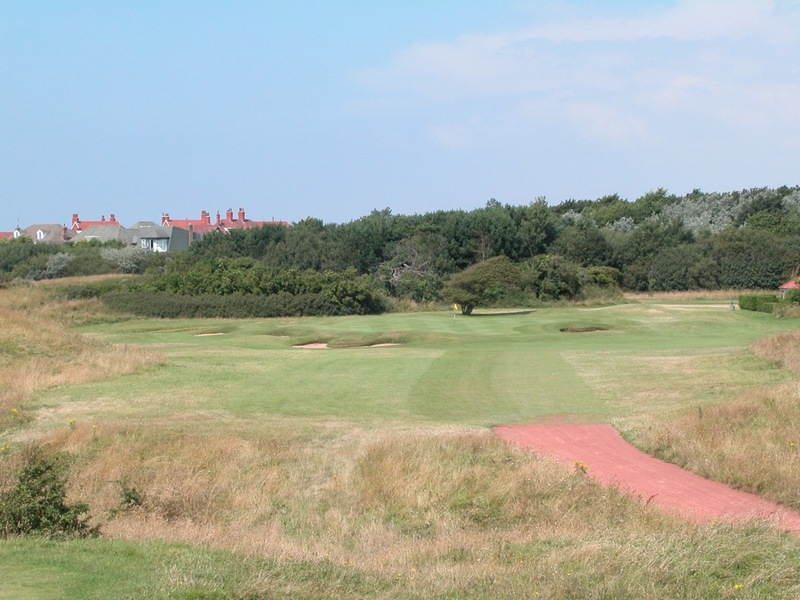 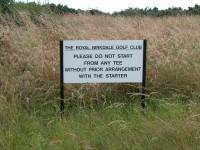 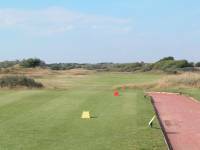 One difference here in Southport England though is that at Royal Birkdale Golf Club, the holes run generally in between the dunes, with little trickery, making Royal Birkdale Golf Club one of the favorites of the pros on the Open rotation. 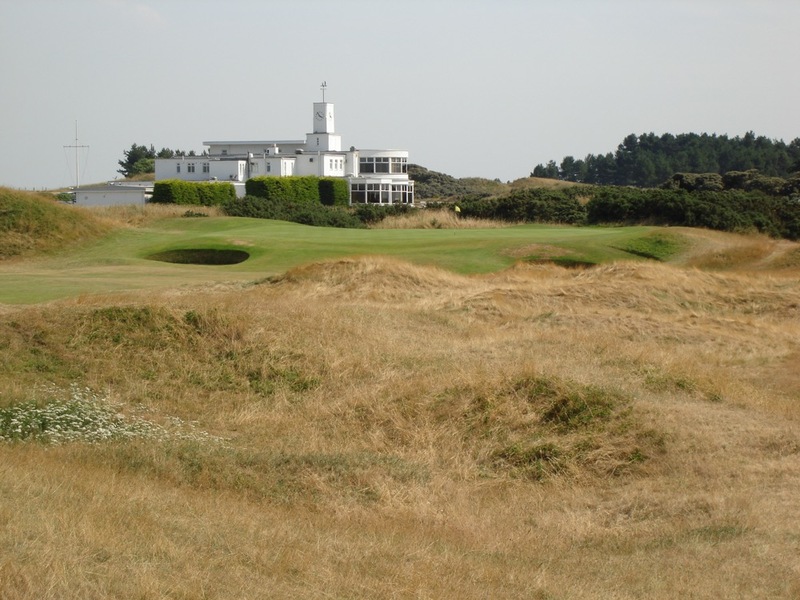 The roster of Open champions at Royal Birkdale Golf Club is impressive indeed, including Arnold Palmer, Lee Trevino, Johnny Miller, Tom Watson, and Mark O’Meara. 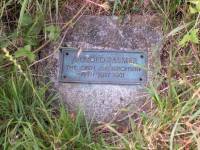 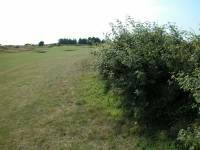 In 1961, Palmer clinched his victory at Royal Birkdale Golf Club with a slashing 5-iron from the rough to the right of the 16th fairway, with the spot marked by a plaque, difficult to find though in the wispy grass! 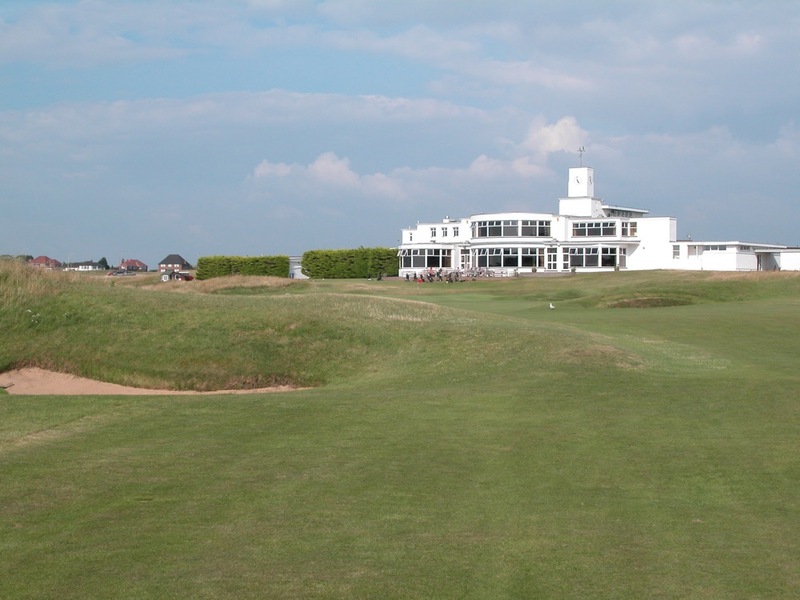 Royal Birkdale Golf Club was also the venue where Seve Ballesteros burst onto the scene, finishing 2nd to Miller at the tender age of 19 in 1976, and was site of Mr. Lu’s heroics in his 1971 battle with Trevino at Royal Birkdale. 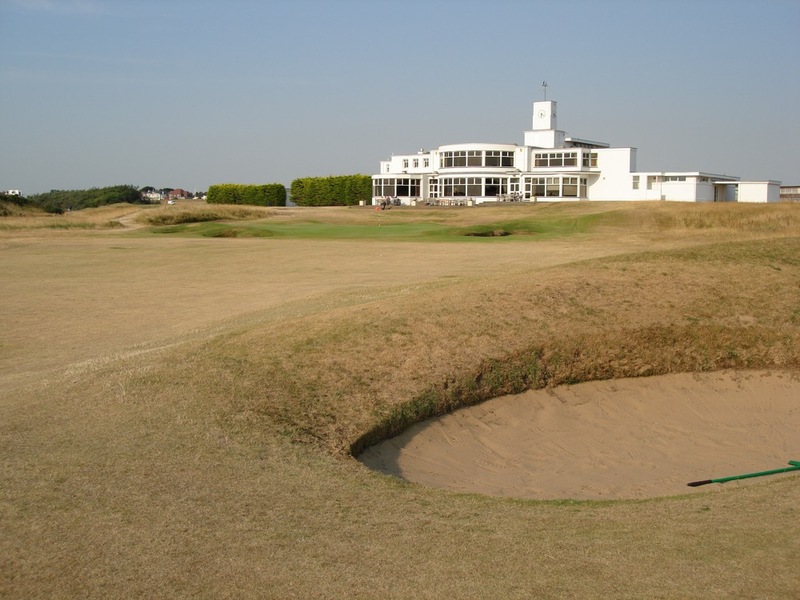 Ian Baker-Finch fired 29 on the front nine in the final round at Royal Birkdale in 1991, and yet another great moment was Brian Watts’ great bunker shot on Royal Birkdale Golf Club’s 72nd green to force a playoff with O’Meara in 1998. 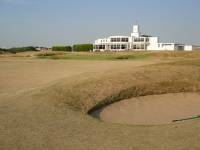 On the other end of the spectrum, Hale Irwin’s “whiffed” putt lead to a one-stroke defeat to Watson at Royal Birkdale in 1993. 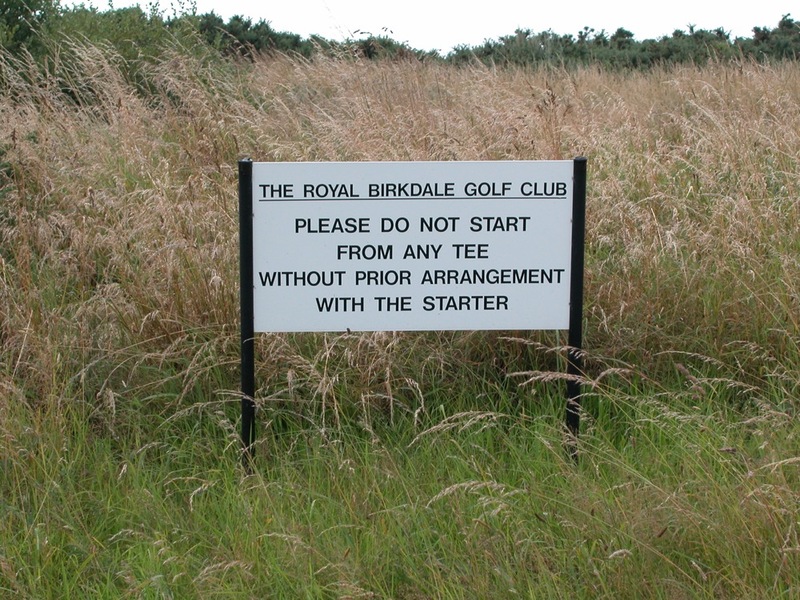 Indeed, the memorable moments at Birkdale are almost too numerous to list! 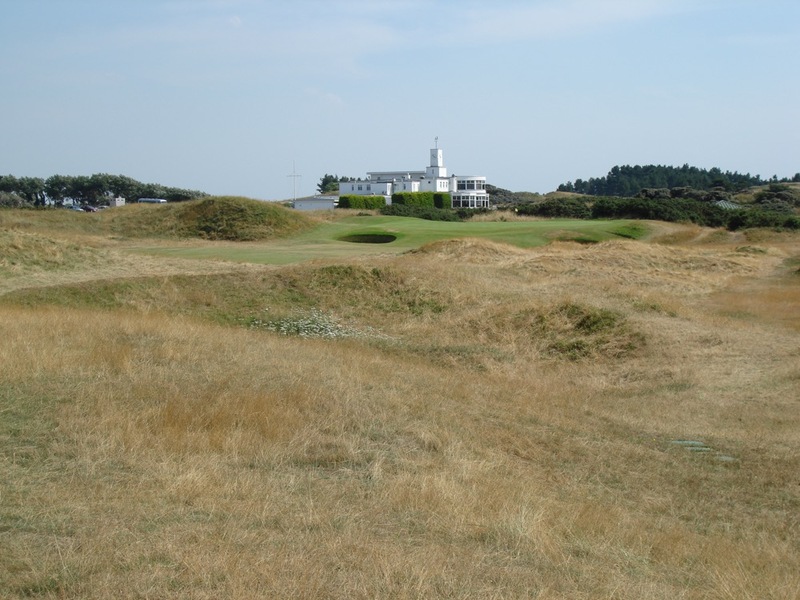 Yet we would be remiss if we didn’t include a couple more—53-year-old Greg Norman claiming the 54-hole lead in the 2008 Open Championship at Royal Birkdale, and then Padraig Harrington clinching the ultimate victory that year by eagling the 71st hole. 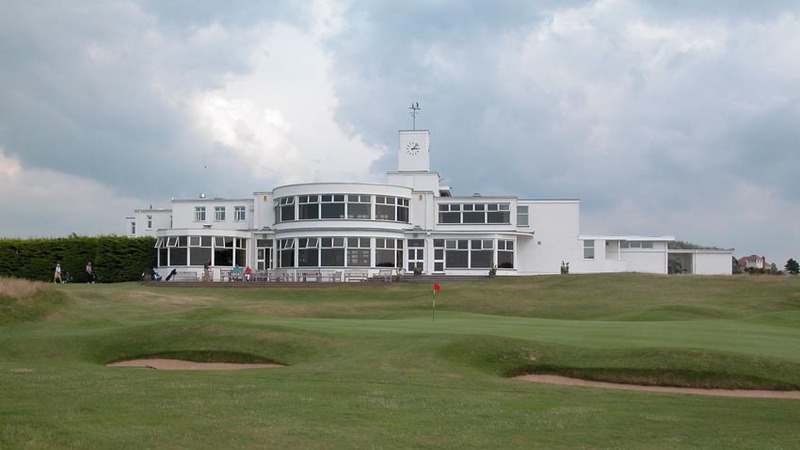 The unique Royal Birkdale Golf Club clubhouse has often been likened to a ship heading out to sea, and is another memorable part of a visit to Royal Birkdale! 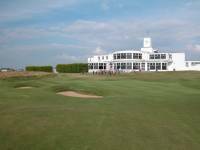 With Southport being such a great base for your England golf package, Royal Birkdale Golf Club is a must-play on your golfing to-do list.